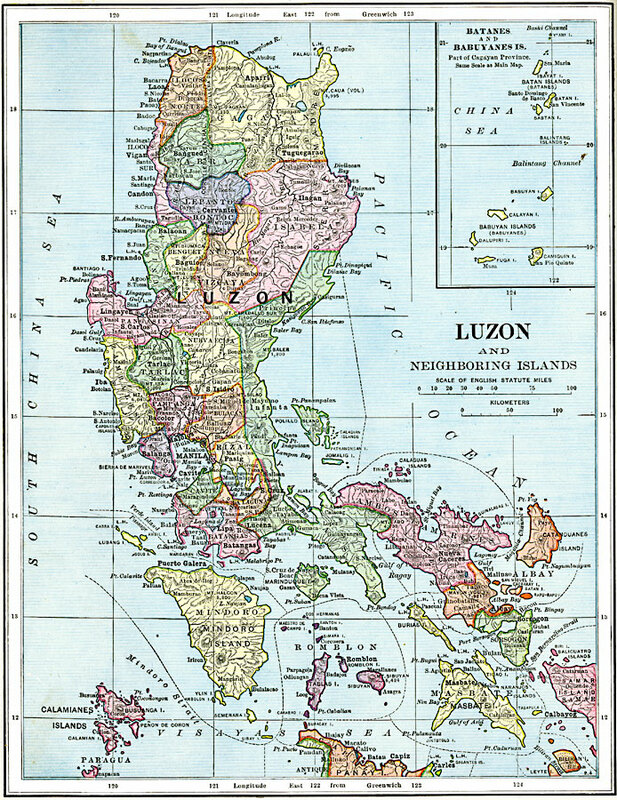 Description: A map from 1906 of the northern Philippine island of Luzon and neighboring islands south to Panay Island. The map is color–coded to show the province boundaries at the time, and shows the province capitals and other major cities, ports, rivers, volcanoes and terrain, islands, and coastal features of area. An insert map details the Batanes and Babuyanes islands to the north of Luzon.